The Rise, Success and Decline of the PT Party’s Virtuous Cycle Model of Urban Governance. In 1964, the US helped overthrow democratically elected, center-left president Jango Goulart and install a military dictatorship in Brazil, which lasted for twenty-one years. As the government arrested and tortured peaceful protesters, several different groups started armed resistance activities. Some, like VAR-Palmares, who’s accountant, Dilma Rousseff, ended up elected president twice, focused on urban guerrilla activities—mainly kidnappings and bank robberies to finance weapons purchases. Meanwhile, the Maoist revolutionaries led by former Partido dos Trabalhadores (PT/Workers Party) national president (and current political prisoner) José Genoino focused on trying to start a peasant-led revolution in the countryside. Neither tactic worked very well. Brazil is a huge country with a highly sophisticated and manipulative media and, as happened in Germany with the Bader Meinhoff group, the press easily turned the public against the urban guerillas by focusing on the family lives of the police, drivers, and bodyguards who died in assassination attempts. Furthermore, they simply ignored the Maoist guerrilla war waging in Araguaia, a remote part of the Amazon region. In the end, the most successful left-led tactic to counter the dictatorship was a series of national strikes, started under the leadership of Luis Lula Inacio da Silva in the industrial suburbs of São Paulo during the late 1970s and early 1980s, which morphed into huge street protests for direct elections called Direitas Já. As alternate political parties to the two allowed by the military (ARENA and MDB) were legalized, the labor unions joined with organic intellectuals and social movements to create a new radical left political party called the Partido dos Trabalhadores (Workers Party, or PT), which eventually swung towards the center-left and controlled the presidency for thirteen years, winning four consecutive elections before last year’s coup removed them from power. Building on the lessons learned from resistance to the Military Dictatorship, the party founders, which included legendary socialist intellectuals like Paulo Freire, Florestan Fernandes and Sergio Buarque da Hollanda, capitalized on the new political opening up of the country and opted to focus on radical reform, as opposed to revolution. Building on traditions from Western Marxism, especially the Gramscian strategy of building spaces of counter-hegemony to capitalism within existing expanded state institutions, activists connected to the PT and other left political parties like the Brazilian Communist Party (PC do B) developed a bottom-up strategy for urban reform, influenced by Henri Lefebvre’s concept of the Right to the City. The concept of the Right to the City was watered down over the past decade by agencies like the UN and bourgeois city planners, who tried to change its meaning to signify the mere universal and equitable delivery of city services. But the way the concept is used by activists in Brazil is faithful to Lefebvre’s original idea that it is not merely our right to live in the city and enjoy its benefits, but to transform it in the way that the majority of the people, primarily the urban poor and working class, best see fit—and that this is a right that cannot be realized within a capitalist system. The modern fight for radical urban reform began during the process of drafting the new, post dictatorship constitution of 1988. During this process, the government announced that anyone who could muster one million signatures could create a “people’s” constitutional amendment. Although the declaration seems to have been made for show, and they didn’t really expect anyone to be able to pull it off, a nation-wide coalition of urban reform activists formed and joined with landless rural workers to gather over two million signatures and create two constitutional amendments that are among the most radical national laws in the World. Articles 182 and 183 of the Brazilian constitution declare that the federal government has to prioritize the right to housing, expressed through the social function of property, over the profit motive. This renders common slum-lording practices like land banking, which are used all the time in cities like Chicago, totally illegal. In the countryside, this means that plantation owners cannot own huge tracts of land and do nothing with them. Any landless citizen has the right to homestead on up to twenty hectares of non-productive land and farm it. As a result, the Movimento de Trabalhadores Sem Terra (Landless Workers Movement/MST) has occupied and legalized small farms for over 400,000 families since 1988. On the urban front, these constitutional amendments give landless city dwellers the right to occupy empty buildings that are behind on their real estate taxes, and to require the Mayor’s office to disappropriate them from their owners, convert them to social housing and hand over the deeds to the squatters. This is no small legal victory. To give an idea, there is a current housing deficit in Brazil of around eight million units, but over five million potential units are available just in abandoned government buildings in downtown areas of cities. 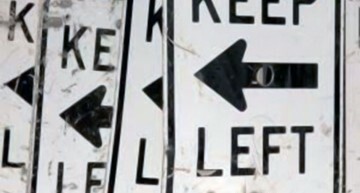 To show why this law is important, I will use an example from Chicago. When University of Illinois decided to expand its campus south of Roosevelt Road, it began buying up historic buildings in the Maxwell Street neighborhood, leaving them vacant and refusing to do any upkeep on them, running behind on tax payments. This was a calculated move to artificially give the appearance of blight to the neighborhood, paving the way for public approval for Mayor Daley using $500 million of taxpayer money to “clean up” the “blight”, rip down six entire blocks of buildings from the 1800s which represented one of Chicago’s last historic neighborhoods, and replace them with parking lots and government-subsidized cinderblock luxury condos, designed to fall apart in forty years and purchased at government-subsidized prices by clueless suburbanites looking for a place to feel at home in the big city. If a university tried to do this in Brazil, according to the 1988 constitution, anyone who did not own property could move into the empty buildings, start living in them and pressure the city government to dissappropriate them and convert them into ownership property. If federal law is upheld, no Brazilian university will ever be able to get away with anything comparable to what UIC did to Maxwell Street. During the signature gathering process for constitutional amendments 182 and 183, new alliances were built on a nationwide level, and dovetailing on the success of the initiative, a group called the Fórum Nacional de Reforma Urbana sprung up. It was made up of urban social movements, professional groups such as the national Social Workers Association, prominent leftist urban planners like Raquel Rolnik and Arlete Moises, unions, and progressive Brazilian NGOs like FASE. For twenty-five years it was the main actor for urban reform on the national level, and during the early days of its existence it had a big influence on building the Brazilian left model of urban governance. Today FNRU is weaker than it was a decade ago but still has over 100 affiliated labor unions, poor people’s social movements, professional associations, NGOs, and academic institutions, representing nearly one million people, and it makes all of its decisions through consensus of its twenty-six directors. As the 1988 constitution passed into law and a certain degree of democracy and sovereignty returned to Brazil, the PT and other left political parties won elections in scores of cities across the country. Together with these victories, a radical reformist model of urban governance, which the PT called the Virtuous Cycle, emerged. In Porto Alegre, Olivio Dutra made significant gains towards socialism. In São Paulo, Luiza Erundina appointed Paulo Freire as Education Commissioner and fought for universal, free access to public transportation. According to Erminia Maricatto, who was Erundina’s Secretary of Housing and Urban Development, “The working class and poor city is ignored and forgotten by public policy during the usual governments. We looked at this forgotten, informal and illegal city, lacking in urban services and equipment and understood that this was our priority. We used a term to describe our strategy, ‘inversion of priorities.’” This inversion of priorities focused on neighborhood development over the downtown business district and in some ways was comparable to what American urban planners call “equity or equitable” urban governance, a key component of the “Progressive City” model that was implemented in cities like Chicago under Mayor Harold Washington and, on a smaller scale, Burlington, Vermont, under Bernie Sanders. But in Brazil, base level direct democracy was pushed further. It is important to note that many of the innovative policies that were developed under PT and other left Mayoral administrations were not created in a top-down fashion. In many cases, organizations associated with the FNRU created a multi-pronged attack, combining road closures with burning tires, camping out in front of city halls and government ministries, lawsuits, and public academic criticism, all to force mayors to go farther left than they had originally planned. Nevertheless, studies conducted on these policies show that they have been more successful under sympathetic municipal governments and, unfortunately, conservative administrations have come up will all kinds of ways to water them down and ignore them. University of Chicago sociologist William Julius Wilson coined the term “the underclass” to describe the millions of Americans who seem permanently trapped in a vicious cycle of poverty with no apparent way to get out. Although one of the most effective ways to rise out of poverty is through property ownership, and the US government has spent billions of dollars subsidizing housing ownership for the white middle class through efforts like the GI Bill of 1944, public housing policy for the poor is based on rent subsidies. The Brazilian approach to public housing is based on ownership, and there are several different policies that fostered this, at least until last year’s coup. The Brazilian Constitution, together with the 2001 Federal Statute of the City, which was ratified after a decade of pressure from the FNRU and contains a set of legal guidelines on how to guarantee adherence to articles 182 and 183, ensures that any Brazilian citizen who does not own property has the right to occupy unproductive land and build their own house. This provides legal protection to the approximately twenty million Brazilians who live in the DIY communities known as favelas, and it also provides legal justification for squatting. The way that this process typically plays out is by organized social movements coordinating squatters’ actions, for example, moving two hundred people into an empty building all at once. Then a process begins, which normally takes several years of negotiating with the local government, resisting eviction attempts, and eventually signing contracts for ownership and conversion to housing units. Despite this being legal, even some ostensibly leftist city governments have been slow to move in guaranteeing this right to the people. During Marta Suplicy’s PT mayoralty in São Paulo in the early 2000s, for example, only four squatters’ buildings were converted to social housing. There are currently hundreds of occupied buildings across the country, with São Paulo having between thirty-five-to-forty squats, housing approximately sixty-five hundred residents. Another example of ownership based social housing is the Minha Casa Minha Vida Entidades program that was first implemented at the federal level during the Lula administration. Groups of poor women band together through social movements and community associations, and make a proposal for the government to purchase a plot of land. The federal government provides architects, engineers, and training for the women to build and manage their own apartment complexes. Over the course of a process that usually takes two or three years, the women spend one day a week working on the construction site. Once the properties are finished, the government sells them for a subsided price under the condition that they live there for ten years before selling the property, which protects against predatory speculation. The deeds for this program are issued in the name of the female head of household, regardless if she is married or not. I provide technical assistance to residents of a condominium complex on the NW side of São Paulo that was built through this program. Everyone in the condo is a former resident of Brasilandia favela. Since they only have to pay R$100/month on their mortgages, money is left over for other things like cars and private university tuition. Due to their status as property owners, the one thousand formerly poor people who live in these apartments have all moved into the lower middle class. According to the 2001 Statute of the City, which regulates articles 182 and 183 of the Brazilian constitution, all towns with populations of twenty thousand or more have to create a participatory development plan to orient the annual budget for a period of ten years. Meaningful public participation is mandated by law in the form of public debates, hearings, and democratic assemblies and by allowing “people’s legal initiatives” in which any budget line can be altered through a petition as long, as it doesn’t shrink the size of certain federally mandated disbursements for areas like Health and Education. The largest truly participatory development plan in US urban history was Harold Washington’s Chicago Works Together Development Plan of 1984. At the time Chicago had a population of around three million people, and hundreds of planners spent months holding meetings in public school buildings in every neighborhood in the city to deliberate the city’s development strategy. The results led to significant innovations such as an industrial retention strategy, which penalized manufacturers who received tax benefits in exchange for opening up shop in Chicago that tried to close down and move overseas. The largest participatory development plan ever facilitated in the world, was ratified in São Paulo in 2014 under PT party mayor Fernando Haddad. There, a one year cycle of neighborhood planning meetings resulted in a plan for the twelve million residents of São Paulo that among other things, prioritizes public transportation over private, and pedestrian and bicycle traffic over the automobile. Although the law mandates Brazilian cities to facilitate participatory development plans, a lot of city governments simply ignore the law or invent mechanisms to shorten the participatory planning process, to the point that it becomes symbolic. As in the case of many progressive urban governance policies in Brazil, a sympathetic mayor is fundamental. Nevertheless, there are scores of examples of innovative participatory development plans in effect, ratified by city mayors who are from the PT or other left leaning political parties in Brazil. The lesson learned in this case is that the law is not enough when it comes to challenging capitalist real estate hegemony over the city. Without a strong base level opposition on the streets, the courts and in the city councils, an unsympathetic mayor can ignore just about any law that he wants. Participatory budgeting is the most influential Brazilian public policy innovation of the last fifty years. Since its original development, caused by people’s pressure on socialist city governments in the southern state of Rio Grande do Sul during the late 1980s, it’s been implemented in fifteen hundred cities all over the world, including forty-six in the US and Canada. How does it work? City governments turn over a percentage of their investment budget for the public to decide on. Every year, a series of budget meetings is held in one public building, usually a school, in every neighborhood. An attendance average is taken, and for each ten people who show up, the group gets to elect one voluntary delegate. The delegates hold an assembly where budget priorities are established, money is allocated, and construction contracts are awarded from the pool of companies that bid on them. Although investment usually only represents about ten percent of the average Brazilian city budget, and usually less than half of this amount is deliberated on by the public, projects that are implemented through participatory budgeting continually prove to be more cost-effective and a better fit for the needs of local residents, as opposed to traditional public works. At its best, participatory budgeting shrinks the size and power of the local government by turning decision-making over public spending directly to the people. In this sense, it deepens local democracy by increasing people’s deliberative power over their government. Since the people are involved in monitoring project excecution, it also reduces corruption. But it is not the magic pill that some of its northern advocates claim it to be. It is important to remember that participatory budgeting only opens deliberative power over a city’s investment budget, not its entire budget. In Brazil, the investment budget averages around ten percent of the total budget, but even in best cases, the amount opened up for public deliberation averages around three percent of the total budget. Studies have shown that in Brazil, participatory budgeting works best in mid-sized cities of one hundred-to-three hundred thousand people that have higher than average median incomes. One of the key components of Brazilian left city governnance is the Popular Forum (or People’s Forum). There are scores of examples of different popular forums with different characteristics, but to give a brief overview, the city government, typically acting on pressure from below, makes a decision to open the management of one policy area to the people. Two examples of people’s forums in São Paulo were the Homeless Forum and the Immigrants Forum, which operated under PT Party Mayor Fernando Haddad from 2012-2016. In both cases the Mayor opened up most of his budget for these two policy areas for public deliberation and control through democratic citizen forums. Members of those population groups were invited to public meetings across the city. There, they elected voluntary delegates who represented and regularly reported back, who were invited to create policy and budgetary priorities for the government’s budget allocated specifically to benefit their population groups. The largest example of a people’s forum in Brazil is the National Ministry of the City’s council system. When Lula was elected in late 2002, the FNRU immediately began pressuring him through nationwide negotiations and protests, to cede full democratic control over the national urban budget. As a response, he created the National Ministry of the Cities and nominated socialist former Porto Alegre Mayor Olivio Dutra to head it. Together with his assistant minister, former São Paulo planning commissioner Erminia Maricato, Dutra created a nationwide system of municipal and state democratic, voluntary councils, which elected delegates representing specific segments of society such as unions, social movements, businessmen, academic institutions, professional associations, and NGOs. It was set up so that unions and social movements had an absolute majority, guaranteeing at least fifty-one percent representation by the working class. Every two years, thousands of voluntary delegates came from across Brazil to meet in Brasilia at a national cities’ conference, to vote on new urban policies and budgets and to elect voluntary councilors, who would travel to Brasilia every three months in the interim between Cities Conference to make policy decisions. I was a member of the FNRU national directorate from 2007-2012 and served as a delegate at three different National Cities’ Conferences. As an immigrant to Brazil, I could not believe that I was sitting there in Brasilia actually voting on laws. 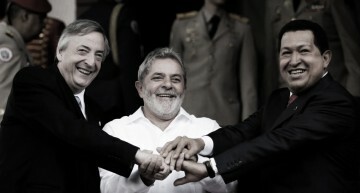 Two highlights were when Lula came to the conference to sign our new one-billion-dollar package for self-managed social movement housing construction, and when we passed a national urban sanitation policy which prohibited privatizations. Another highlight happened during a plenary session when someone ran into the convention center auditorium and yelled that the military police were outside trying to kick out the street vendors who had been selling us food and beer all week and to confiscate their merchandise. I will never forget the look on those police officers’ faces when a thousand primarily black, working class social movement and union activists poured out, created a protective circle around the vendors, and started yelling “the people, united, will never be defeated.” Needless to say, the police packed up and left under a shower of heckling, and vending activity continued that week. Unfortunately, the same Gramcian ideology of building spaces of counter-hegemony to capitalism that swept the PT party into power seemed to be easily manipulated into justification for collaborating with scumbags, contributing to the demise of many of these progressive polices in the name of governability. On the national level the PT party never had more than twenty-two percent of the seats in Congress and the Senate, forcing Lula to enter into coalition with all kinds of corrupt parties, including those run by former political enemies, in order to get anything done. His main priority was to end the hunger crisis, generate jobs and eliminate poverty—and he succeeded, moving thirty-five million people above the poverty line. But he made a lot of sacrifices in achieving that goal. One of them was PT’s historic demand for radical urban reform. Instead of focusing on conversion of empty buildings in city centers to social housing, he allocated tens of billions of dollars of subsidies to the construction industry and the national mortgage bank to create over a million housing units on the city periphery. This ended up creating hundreds of thousands of jobs in the construction sector, but the end result was housing that primarily ended up in the hands of the lower middle and middle class—which already had a housing surplus, doing little to address Brazil’s housing deficit for the poor. After two years of innovative policy development at the Ministry of the Cities, Lula relieved Olivio Dutra of his command and turned it into a negotiating tool with his coalition partners. From 2005 forwards, the National Cities Ministry was run one conservative politician after another, who did their best to ignore the delegate and council systems directives. To add insult to injury, when a $100 billion dollar growth acceleration package was announced to preemptively buffer Brazil from the World sub prime mortgage crisis, it completely bypassed the National Cities Ministry and was implemented without any popular participation. During the thirteen years of PT presidencies, which culminated in last year’s coup d’etat, the social movements and unions were often stuck protesting against certain policies made by a government that they also supported. In some cases this weakened their radical image and caused them to lose support from alienated youth. The lack of young people’s enthusiasm for urban reform was exacerbated by Popes John Paul II and Bento’s isolation and persecution of the liberation theology movement. The liberation theology priests and nuns did incredible political formation organizing in the Brazilian slums, and when their activities were curtailed, a huge knowledge vacuum of young people emerged. The space that was formerly filled by radical Catholics and Marxist priests and nuns among the urban poor is now occupied by evangelical churches of prosperity, neo-fascist police groupies and militias, and apolitical drug trafficking organizations. A non-stop barrage of conservative propaganda memes spammed across the social networks, often funded by US-friendly Brazilian political parties and American businessmen such as the Koch Brothers. When you add the fact that unions suffered huge declines over the last thirty years due to automation, resistance to the Coup government as it dismantles decades of progressive advances in urban governance, health, education, and labor rights has been seriously compromised. Today, with an aging membership, the social movements and unions are under full-blown attack from the US-backed and illegitimate coup government. But on April 28, 2017, we fought back. Thirty-five million people participated in a general strike. Social movement activists and union members closed off thousands of streets in hundreds of cities across the country with burning tires at exactly the same time during the morning rush hour. I joined the MST and the Central de Movimentos Populares to shut down Avenida 23 de Maio in São Paulo. When Mayor Washington died in 1987, he harbored the end of progressive city governance in Chicago and the US. But his ideas did not die. The Brazilian Virtuous cycle model of urban governance may be in decline, but hopefully the lessons learned can be used to inspire new initiatives in other cities around the world. If you love your city and have solidarity for the less fortunate, occupy a vacant building. Demand to have a voice in the planning process, fight slum-lording, burn tires, close off roads, and demand your right to see the budget, to change the budget, and to change the city in the way that you and your neighbors feel best suits your needs instead of the needs of the elite. Fight for a city that places people’s interests above those of banks and real estate companies. Look for allies. Show solidarity, and do what you can to turn your local environment into a rebel city. This article is adapted from version published in Lumpen magazine, August 2017.